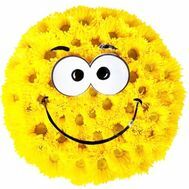 Beautiful and original, a bouquet with a smile in colors is suitable for young people and people who communicate in social networks. 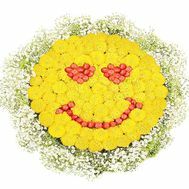 After all, like nobody else, they know the importance and importance of smiles in communicating with others, and therefore such a gift will cause a storm of different emotions. 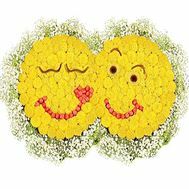 After all, every person can be given flowers. 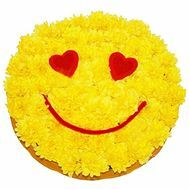 Smile should be presented to his children on birthdays or family holidays, expressing his support and care. 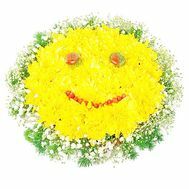 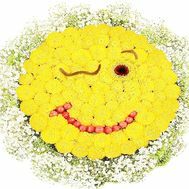 Also, flowers with a smile are suitable for your beloved girl, which is far from you, and you really want to smile. 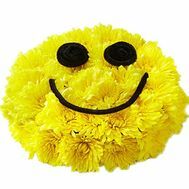 Smile from flowers - that bright and special, an important gift that you have been looking for! 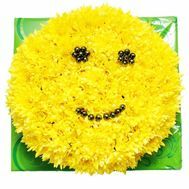 We carry out timely delivery of each order, as well as free delivery in major cities! 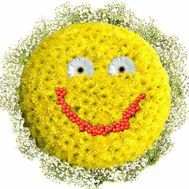 If you do not know what is best to give to friends and acquaintances, to put a smile on their lips - choose a beautiful smiley. 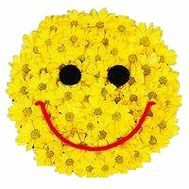 Flowers, bright and sunny, guaranteed to add a positive to everyone!